Discover the latest data available on U.S. foundation philanthropy. Our research staff analyzes and interprets the data we collect on foundations. Learn about national, regional, international, and special topic trends and get the latest statistics on foundation giving. 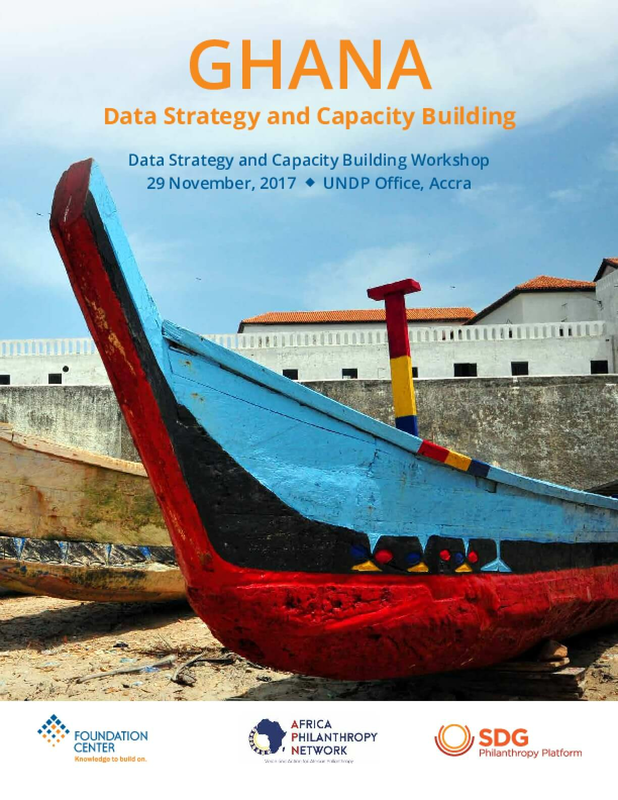 This report synthesizes the key outcomes from the Ghana Data Strategy and Capacity Building Workshop, which was held in Accra on the 29th of November, 2017. 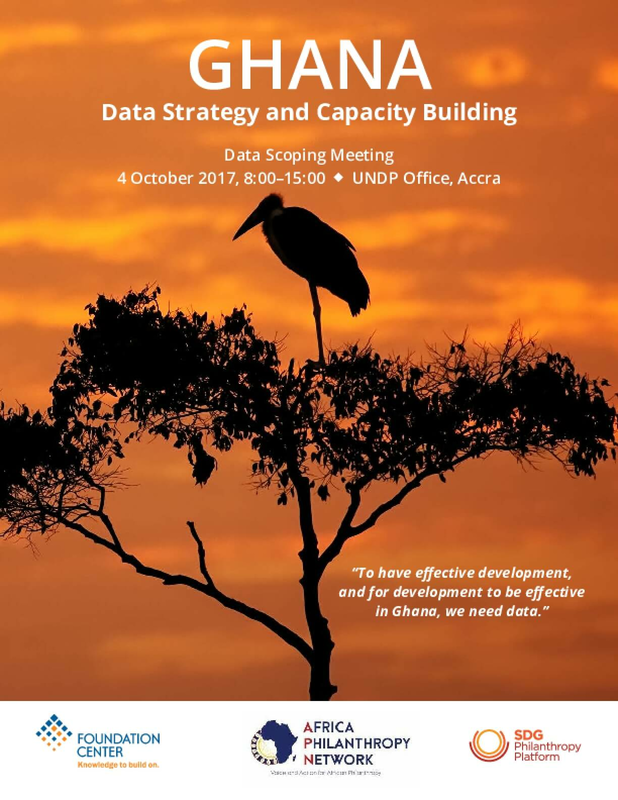 The workshop was developed based on input provided by the cross-section of Ghanaian foundations, support organizations, and civil society more broadly that participated in an earlier "Data Scoping Meeting" held on the 4th of October, 2017. During the Data Scoping Meeting, participants worked together to: - Understand the value and opportunities for advancing the philanthropy data agenda in Ghana- Establish common principles for collaborative data and knowledge management- Identify key data and knowledge challenges as well as needs- Explore existing technologies for collecting and sharing data and knowledge- Set local data and knowledge goals and priorities. The Data Strategy and Capacity Building workshop focused on how to move forward on each of these priorities. Awareness of the value of data in achieving important social and development goals has been increasing in Ghana in recent years. In 2011, Ghana signed the Open Government Partnership (OGP), a multilateral initiative with aims to secure commitments from governments to promote transparency, fight corruption and harness data and new technology to strengthen governance. The government also created the National Information and Technology Agency (NITA) in 2011 to develop and manage an open government data portal as part of a movement to make government data more available. Over the last few years, NITA has been working towards setting up repositories and portals of government data. Because existing data initiatives are largely driven by the government, they usually do not take into account data from or about civil society actors. In particular, Ghana lacks a dedicated platform and framework for collecting, sharing, and analyzing data on philanthropy. With this in mind and to address this issue, Foundation Center, in collaboration with SDG Philanthropy Platform and African Philanthropy Network, co-convened a data scoping meeting on October 4, 2017 in Accra. The specific objectives of the data scoping meeting were to: 1. Understand the value and opportunities for advancing the philanthropy data agenda in Ghana. 2. Establish common principles for collaborative data and knowledge management. 3. Identify key data and knowledge challenges and needs. 4. Explore existing technologies for collecting and sharing data and knowledge. 5. Set local data and knowledge goals and priorities. This report summarizes the outcomes of the data scoping meeting, including highlights from the discussions and key recommendations. Foundation funding focused on Ghana over the past decade has encompassed all aspects of the global development agenda and beyond. 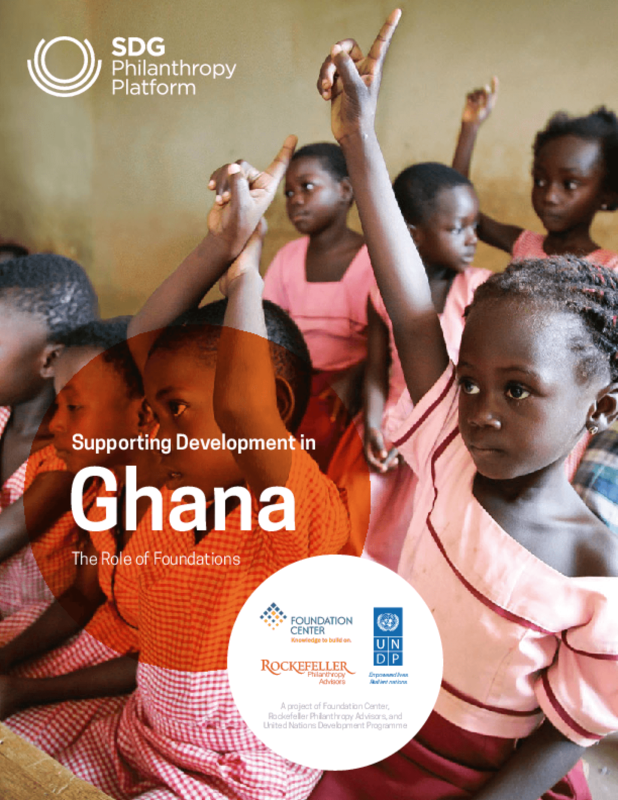 Among foundations whose grants are tracked by Foundation Center, their giving focused on Ghana totaled $499 million between 2002 and 2012. While few foundations intentionally aligned their grantmaking priorities with the MDGs, over half of grants (54 percent) made by the 151 foundations included in this analysis and most of their grant dollars (79 percent or $394 million) supported activities consistent with at least one of the eight MDGs.